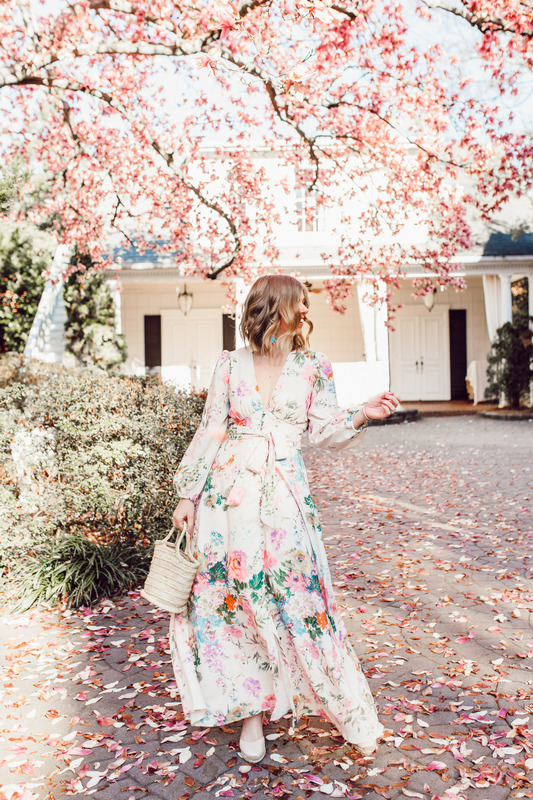 Sharing the prettiest long sleeve floral maxi dress styled for Easter. 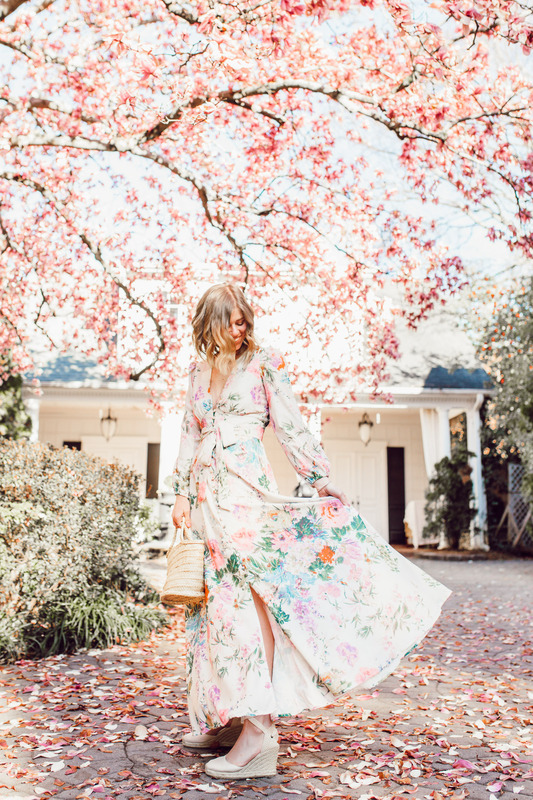 As well as the best easter dresses to shop for the upcoming holiday! With Easter officially less than a month away, it is time to start talking Easter style! Easter falls on April 21st this year, which is a little late. However, I personally like it! With Easter later in April Mother Nature has time to swing fully into spring. The trees will be green and the flowers will be blooming. And when I think of Easter, I think of a beautiful spring weekend. When we all pull out our Easter best, of course! For myself and my family, growing up that was always a little more on the formal side. We would dress up to attend church and then have a big Sunday “dinner” in the late afternoon. Now that we’re all off and married, Easter looks a little different but whether we’re with Joshua’s family or mine, we still typically are in our Easter best but now Sunday dinner has turned to fabulous Easter brunch! Which I have to say, I prefer. I am all about some brunch! Bring on the biscuits, pancakes, avocado toast, and yogurt parfaits! 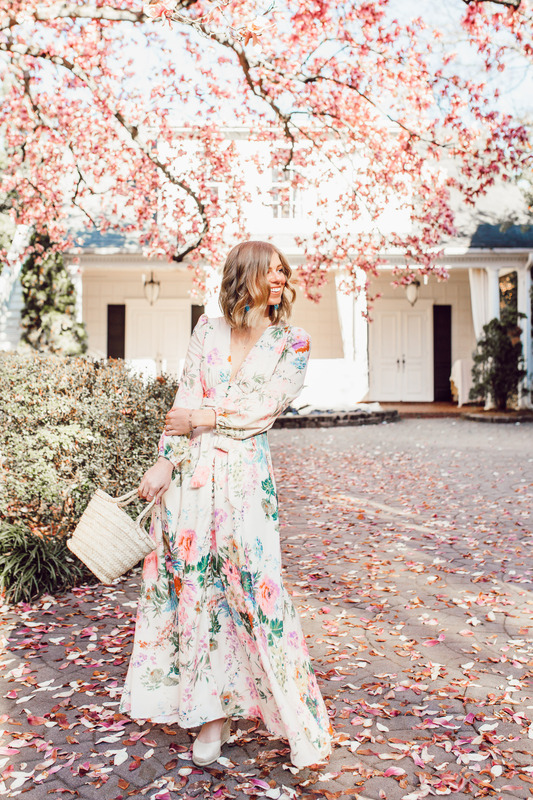 Back to Easter style…more specifically Easter dresses! This glorious holiday is the perfect excuse to purchase a new dress and add all the spring accessories! 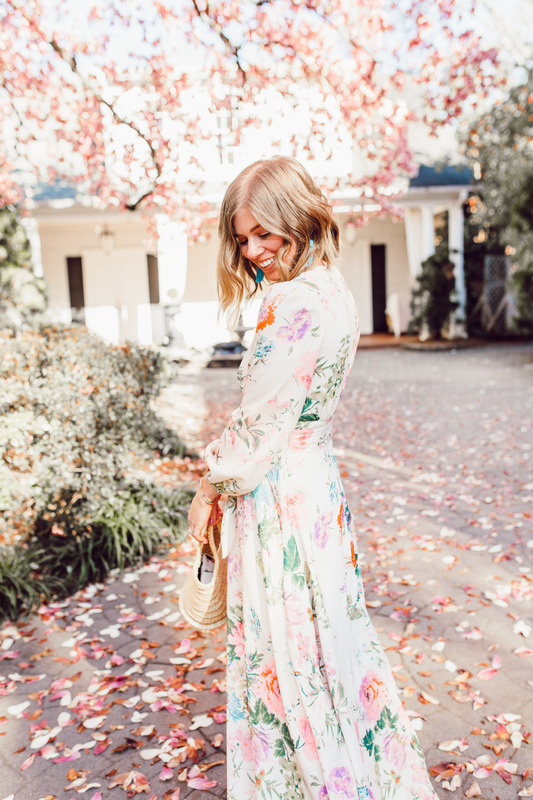 Below you’ll find my tips on styling your Easter dress + the best Easter dresses to shop now! 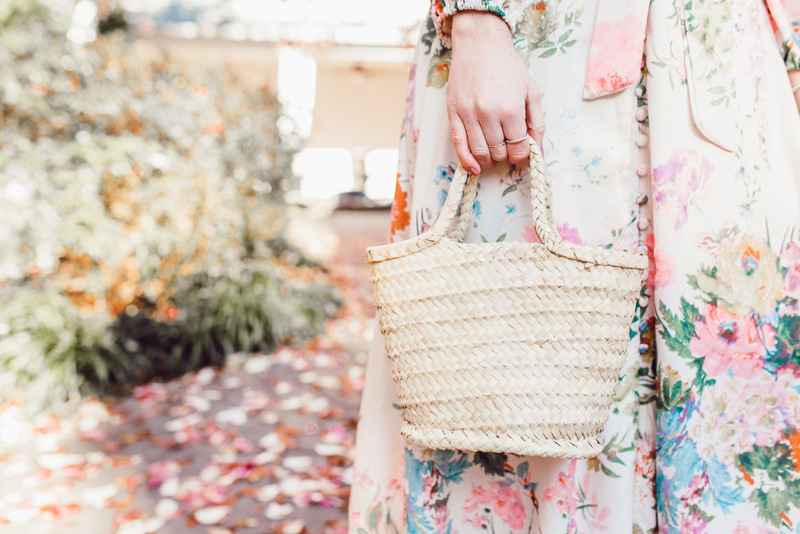 To me, when I think of Easter dresses I think colorful florals, lace, bright hues, and all the feminine vibes. So with that said, I say have fun with your Easter dress. Go a little color crazy, try a a hue outside of your typical color palette, or maybe a different dress style overall. 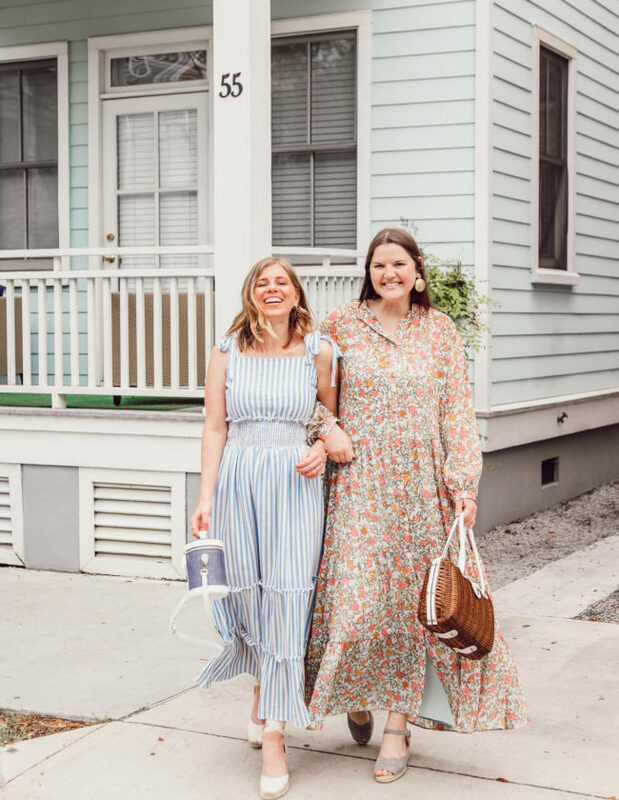 The dress I’m wearing in today’s post is so outside of my typical wheelhouse with the deep v, maxi length, and long sleeves. I was worried it would overpower me or the deep v would be too much but now, it is my favorite dress! Another time fashion has proven to me that you need to try pieces you normally wouldn’t as you’ll often be pleasantly surprised! 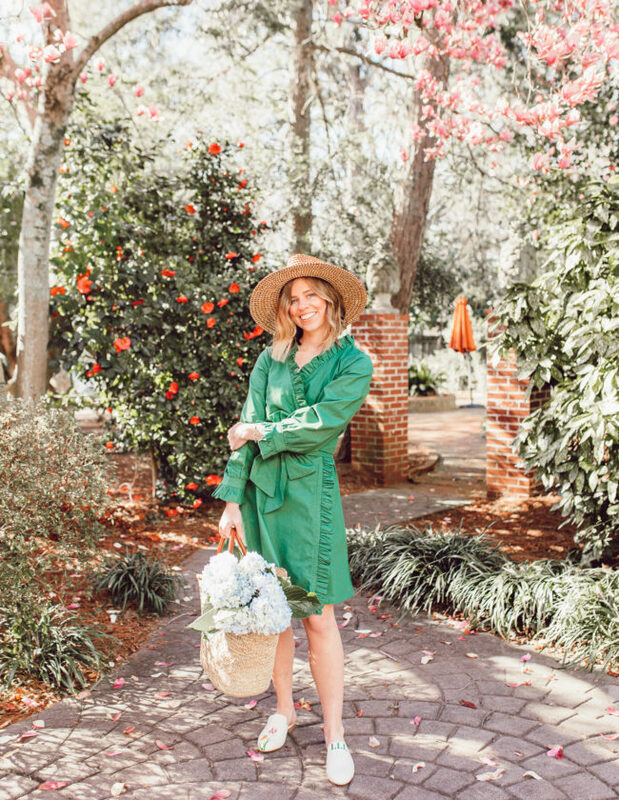 Below are some of the prettiest floral, bright hued, and just overall adorable dresses out right now that would be perfect for Easter! Espadrilles absolutely scream spring! They immediately lighten your look and give it a little playful touch. If you’re going a little more dressy for Easter Sunday opt for espadrille wedges. If you’ll be more on the casual side go for espadrille sandals or loafers. Both are comfortable and cute! Straw bags are back again this year and the best accessory to have on your arm this season! They’re light, playful, and also practical as they come in a variety of sizes and styles now. 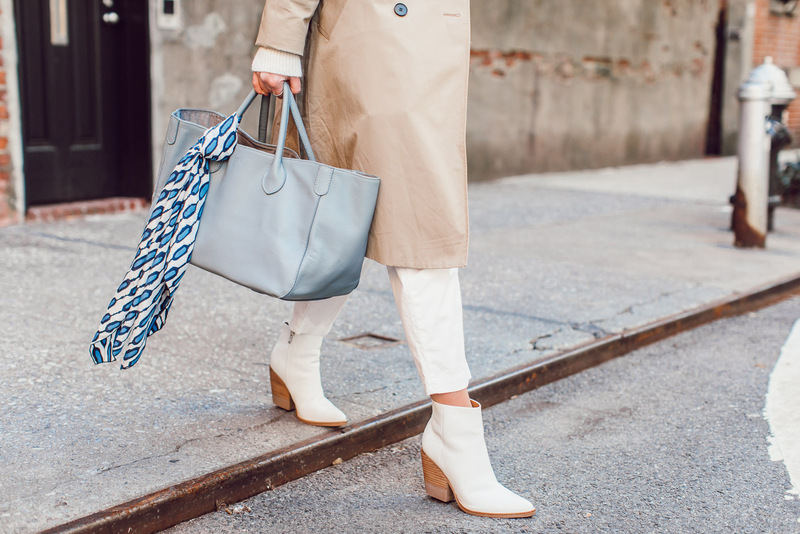 A mini straw tote is the perfect addition to your Easter look. However, if you’re wanting one with a strap, I’d recommend this sweet cross body (under $40). Have a little fun with your jewelry and add an extra layer of color! Even though my dress has a variety of colors and is pretty loud on it’s own, I added turquoise tassel earrings. The earrings make the blue in the dress pop even more and create another element of fun for this Easter look! If statement earrings aren’t you’re thing, maybe layer some bangles or go for a colorful cocktail ring! 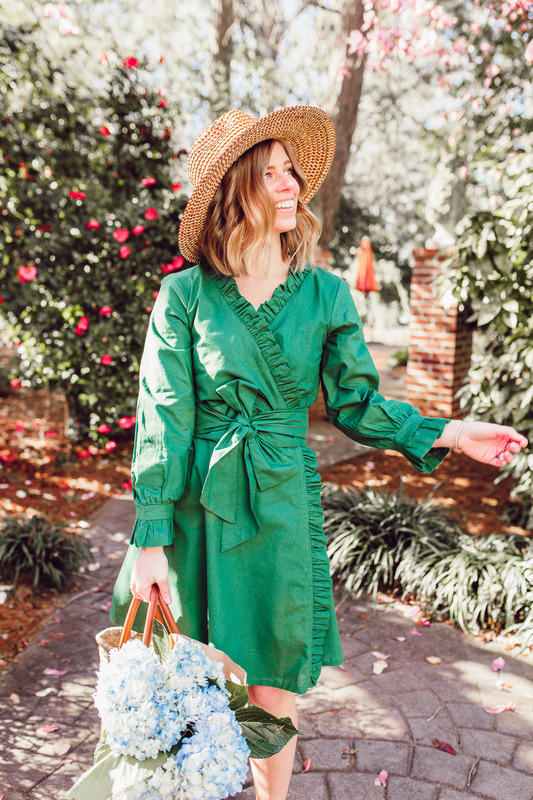 Looking for more spring dress inspiration, check out the sweetest green dress you ever did see and the perfect bridal shower dress. I just ordered this dress and you’re making me so excited to get it in the mail- how cute! Yay!!! I am so excited for you – you are going to love it! Oh my goodness 🙂 thank you sweet friend!! Well that sounds like a pretty sweet Easter to me! OBSESSED with this dress on you girl!!!! SO CUTE!!!! Thank you so much Lacey!! Appreciate it lots girl friend! Oh my gosh! This dress is super cute! I love the espadrilles, SO cute! You look so cute! You know I have the shorter version, but I also bought this one because I loved the print so much lol! It looks amazing on you! Thank you Liz 🙂 yes, I absolutely love the shorter version on you. YAY!! I cannot wait to see you style this! 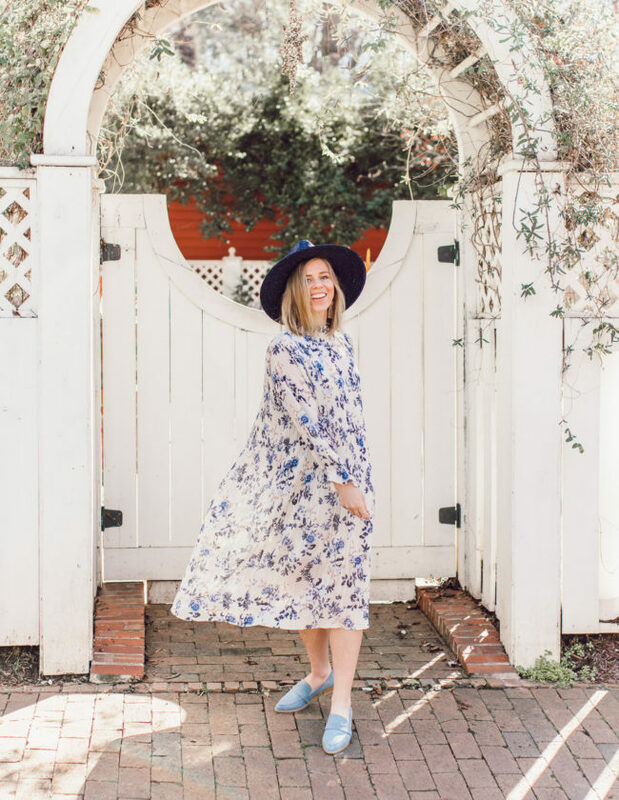 The maxi and espadrille combo definitely make this the perfect look for church + Easter brunch! So glad you agree girl friend! Oh my goodness, Laura Leigh! 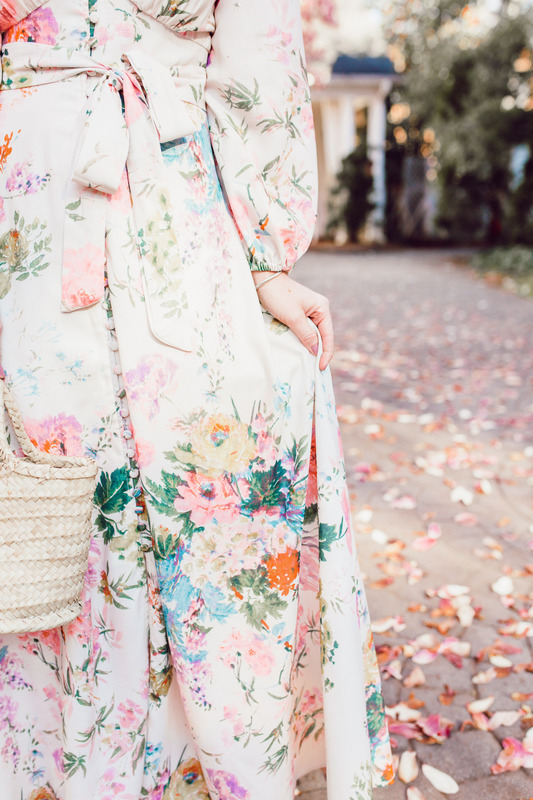 This floral number is beyond perfect fo Easter. Wow! I also just love the photography here — the blooming trees in the background? I adore it all! Aw thank you gal! I know, that tree was absolutely everything – wish it stayed like that all spring and summer! I can’t get over how elegant this dress is! The floral is perfect, the length is beautiful, and I love the plunging neckline on you. You make it so sophisticated. It’s perfect for springtime! Aw thank you Stephanie! I really appreciate your sweet words! I always wish I could celebrate Easter purely for the pretty dresses! At least spring allows you to do that! I am absolutely swooning over this dress! Love everything about it, including the print and the length! So cute paired with these espadrilles, so perfect for Spring! You should absolutely get it gal! It is even more beautiful in person and so fun to wear! OH your dress looks gorgeous babe! Wow girl you look absolutely stunning! I love this dress! Aw thank you gal! It is a fabulous dress! This dress is literally stunning on you!! Made for you love! You look incredible!! Aw thank you so much Ruthie! That is so sweet of you to say! Aw thank you Candace! 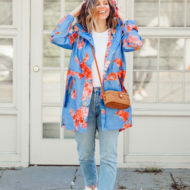 Cannot beat floral in the spring! I’ve had my eye on this maxi for a while and love it even more on you! Perfect for Easter Sunday. Wow what a beautiful dress! And I loveee the straw bag too. It isn’t spring or summer without a straw bag, am I right? 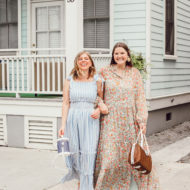 I’m also loving your blog re-fresh girly! Thank you Emily! I couldn’t agree more – all about the straw bags. Aw thank you gal! I’m working out the kinks today and hoping to have everything all done by EOD. I am thrilled you like it though!! Wow, this dress is gorgeous! I also love the straw bag, so cute! In love with this maxi dress – esp the low V neck. Thank you Caitlin! I was a little worried about it at first but absolutely love how it looks. I’m in love with your short hair. Aw thank you Juliana 🙂 I appreciate that girly!